Monday Monday, can't trust that day. 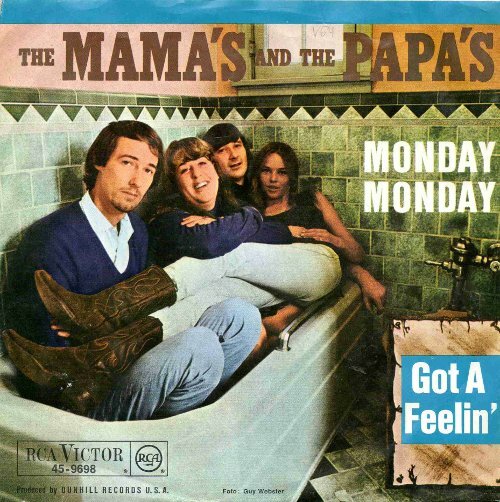 The Mamas and the Papas had that lyric right. Those of us working a traditional Monday-to-Friday job face Monday knowing the rest of the work week will drag on forever and ever. It helps if you have great work colleagues and love your job, like I do, but still. Work is work. Some people, including the poor folks below, don't have it easy. 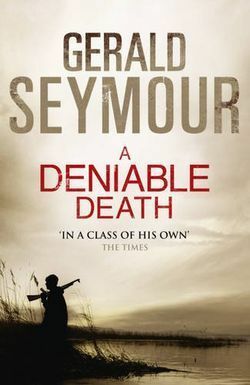 Gerald Seymour: A Deniable Death (2013). This is a very remarkable book of espionage published earlier this year by St. Martin's Press. If you like your spies to do a lot of running around, this isn't for you. But if you hunger for the minute details of planning and executing an intricate spy mission and want complicated and believable characters, don't miss this one. A misdirected sneeze provides enough DNA to identify the Engineer, who designs and oversees the manufacture of many of the improvised explosive devices that kill or maim Allied forces in Iraq and Afghanistan. The Engineer lives just over the border from Iraq in Iran. His beloved wife heads a committee in charge of sweeping Iran of land mines. When she is diagnosed with a brain tumor, the Engineer insists that the Iranian government make plans for her to receive treatment at a top-notch medical facility out of the country. MI6 and their intelligence Cousin (the US) and Friend (the Israelis) get a whiff of this plan and decide it presents a unique opportunity to assassinate the Engineer. If any of the Allied forces' spies are caught, they will be disavowed. If they are successful in their mission, the complicity of the Allied forces' governments will be denied. The question that needs an answer immediately: what facility in what country are the Engineer and his wife headed for? To find out, MI6 sends middle-aged military surveillance expert Joe "Foxy" Foulkes and a young but gifted police officer, Danny "Badger" Baxter, to the marsh near the Engineer's family home in Iran. Badger plants microphones in the house and in the marsh, so conversations inside or outside the house can be monitored by Foxy, who is familiar with Farsi. The two men, who must lie quietly pressed up against each other for day after excruciating day, dislike each other intensely. They only have so much time before the couple leaves; before they are discovered by the Engineer's guard, who is obsessed with searching the marsh with binoculars, looking for an endangered bird; and before their support team, fending off murderous and thieving marsh dwellers over the border in Iraq, must abandon them and run away. All of these characters have reasons to agonize about the worthiness of their mission and to question their own and others' loyalties. The Iranian guard, Engineer and Engineer's wife are as human as the Allied forces characters. The marsh, home to birds, wild pigs, rodents and insects, is vividly presented. So are the horrible ordeals of the waiting and hiding Foxy and Badger and their endangered support team in Iraq. The suspense is amazing and builds to a fitting conclusion. I found this book, which honors the men and women who secretly risk their lives or toil anonymously behind the scenes to serve their countries, so good that I returned the library book and bought my own copy. April Smith: North of Montana (1994) and Judas Horse (2008). Last year, Sister Mary complained here about the scarcity of good, strong, sassy women in fictional crime. Sister, meet FBI Agent Ana Grey. Although Ana is short on wisecracks, she has goodness and strength in spades. Unfortunately, Ana suffers from an overabundance of obnoxious FBI colleagues. In Santa Monica, California, the very rich neighborhoods are separated from the less rich by Montana Avenue. When Ana's mother died, Ana moved from the less wealthy side of the city to live with her grandfather, a retired Santa Monica cop, in a ritzy neighborhood. North of Montana, the series debut, finds Ana's climb up the FBI ladder interrupted by a jealous superior, who assigns her to investigate a local doctor. He has been accused by an aging Hollywood star of addicting her to drugs and is suspected in the death of one of his employees, Violeta Alvarado, who is possibly Ana's relative. This book is beautifully written suspense in which author Smith, an Emmy Award-winning screenwriter, compares the haves and have-nots of a California city and forces Ana to reassess her family memories. Judas Horse involves Ana's return to work after a shooting. She is sent to the FBI's undercover school to prepare her for infiltrating a Portland, Oregon animal rights group that is suspected of involvement in an FBI agent's murder. Once in Oregon, Ana finds herself sympathizing with the goals of the group and is drawn to some of its members, even though she is determined to find the truth behind the murder. She is attracted to the charismatic group leader, Julius Emerson Phelps, but she knows she can't trust him. She isn't sure whether she can trust her own FBI liaison team or the assistant FBI director, whose Portland family has powerful corporate and political connections. The strains of undercover work and conflicted professional and personal loyalties that cross sides are handled very well in this book, the third of the series. Emma Lathen: Pick Up Sticks (1970). 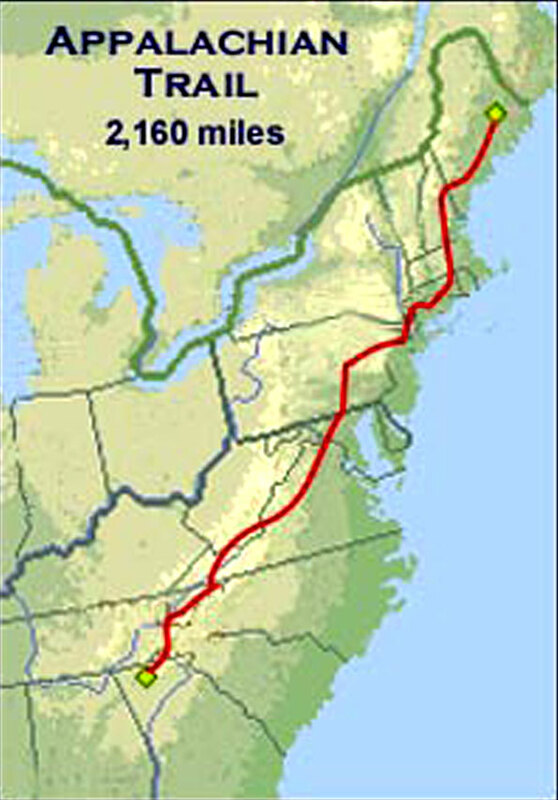 Tall, silver-haired Wall Street investment banker John Putnam Thatcher escapes the Sloan Guaranty Trust to go hiking on the Appalachian Trail. (No, this is not code for flying to Argentina to canoodle with his mistress like the ex-governor of South Carolina.) Thatcher's companion on the Trail, a local named Henry Morland, discovers a body and is immediately suspected by the state police, while Thatcher turns his attention to a pair of Boston financiers' real estate dealings. This is one of my favorite traditional mystery series. The books always focus on a specific business interest of a Sloan client. Discussions among the bank's employees and conversations between Thatcher and the clients make the financial dealings clear. It's very entertaining for me to sit in on a business deal, even if it's fictional. The authors (in reality, Martha Henissart and Mary J. Latsis are Emma Lathen) write with charm and an appreciation for irony as they exhibit how a business works. Thatcher has a dry sense of humor and is never anything less than ethical. In other words, the opposite of how the Wall Street banker of today is commonly perceived. Monday is almost over. For the rest of my work week, I'm thankful I don't have to face lying thigh to thigh in a marsh with a fellow worker, wonder about my own or my colleagues' loyalties or escape the relentless pressures of a bank's employees. I hope the rest of your week goes well, too.